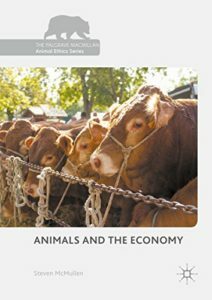 Dr Steve McMullen, Assistant Professor at Hope College, Michigan, is interviewed on his new book Animals and the Economy and discusses his Christian faith, animal ethics and how to utilise our power as consumers to bring about change in favour of animals. I am an economist, trained to empirically study public policy. I am also a reformed protestant Christian. 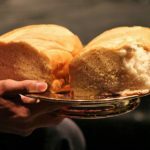 My religious tradition has historically emphasized the importance of God’s call on humanity to live in particular ways, and to live in service to the rest of creation. This theology is rarely applied to animal ethics, but it has made me sensitive to ways in which our participation in the economy can promote the common good, and alternatively, ways in which our actions can be destructive. I did not start thinking seriously about animal ethics, however, until I saw friends and family demonstrate a concern the well-being of animals. In conversation, I slowly became convinced that the world would be a better place if I lived as a vegan. While there are many good arguments for considering the interests of animals, the argument that is binding on my conscience is the knowledge that there is value in creation that is independent of humanity — what some have called “theocentric” value. This, in my view, should motivate a particular kind of economic life that reflects that value. What inspired you to write your new book Animals and the Economy? A large part of the animal ethics literature that is focused on establishing the moral status of animals. Once we have established our obligations to animals, however, we are confronted with practical, economic questions. How should we live? What can we do to shape an animal-friendly society? While there are profound questions for ethicists here, the actual lives of animals are often determined by economic arrangements. It is the market for meat that determines that sustains the daily mass slaughter of chickens and pigs. 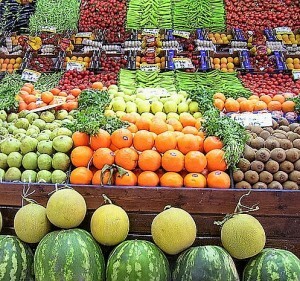 We can boycott these markets by eating a vegetarian or vegan diet, but even this choice is difficult precisely because of the way our food system is organized. Farmers might abhor the violence in these markets, but they often see few alternatives to the dominant industrial model. There are only a few economists writing about these questions, and much of philosophical literature does not consider how the organization of these markets influences the outcomes that we care about. My book, available this summer from Palgrave Macmillan, examines the anthropocentric economic logic of these market institutions, and the nature of the choices available to participants. The goal is to describe systemic changes that will push us toward a market economy that explicitly values the interests of non-human animals. How has the growth in human wealth impacted the lives of animals? Humanity has become materially far better off, and animals have become worse off, in the last two hundred years. These trends are connected. The process of industrialization has worked for humans and against animals. Much of our wealth is based on our ability to produce goods and services in larger quantities at much lower cost. Unfortunately, the very same institutions that have resulted in increased average standards of living world-wide have encouraged a harmful technical manipulation of animals. Farmers are rewarded for focusing solely on the efficiency with which they convert animal food, water, and human labor into consumable meat, disregarding the interests of the animal. While some wealthy consumers choose to devote some of their purchasing power to the welfare of animals, in grass-fed beef and cage-free eggs, these counter-reactions are both small in scale and offer only marginal improvements in the system. This conflict between human interests and animal interests is, in some limited ways unavoidable. In many ways, however, we should be able to preserve the efficiency and flexibility of the market system while also considering the interests of animals. Crafting rules for markets that prevent exploitation, however, is not simple. Careful regulation, however, can change the incentives that consumers and producers face, and redirect competition. What opportunities do people have to make truly pro-animal choices? Individual people have both a lot of power and too few good opportunities. There is a real difficulty in living as a vegan. Government subsidies and the scale of animal consumption make meat and dairy ubiquitous and cheap. Even though vegan diets are often less resource-intensive, their niche status make food more difficult to find and often unnecessarily expensive. The complexity of supply chains makes it difficult to know which products are connected to animal agriculture and which are not. Moreover, the welfare of animals in the system is not knowable by consumers when making consumption choices, because of the distance between consumers and producers. This limitation of options, and disconnect between choices and consequences creates what I call “moral alienation,” for consumers. At the same time, consumers really do have power to change market through discerning purchases. While many doubt the effectiveness of avoiding meat, there is good reason to believe that markets really are responsive to consumer choices, even if those outcomes are not immediately visible to consumers. This means that consumers have substantial power to change what is produced and how it is produced. What key issues need to be addressed in order to improve the lives of animals? In order to make a real difference, we need to change the system from multiple angles. Consumers should be given better information so that their choices can be made on real moral criteria. Producers should be protected from the race-to-bottom that results from unregulated competition. Animal interests should be recognized in our property law, and enforceable in court. Even if we disagree about some of the hard ethical questions, we can still agree that there is a lot of room for real practical improvements in the way our economy is organized. The results, moreover, have the potential to substantially improve human health and the environment, giving us many reasons to pursue these changes. How can we as individuals begin to make a difference in our personal lives and communities? While I often focus on public policy changes, individuals can make a big difference, at a local level, in two ways. First, we can avoid the markets that exploit animals. Even a partial switch away from animal products can have a real impact. Our economic culture makes it too easy to avoid the consequences of our purchases, but it is the choices of consumers that make it easy or difficult for farmers to innovate in ethical ways. The second thing we can do is to change the way we talk about policy. As long as animal interests are minimized as a private matter of conscience, we will not be able to confront the essential injustice of our current exploitative institutions. This means that we need to, as citizens, constantly question the public policy silence on animal ethics. 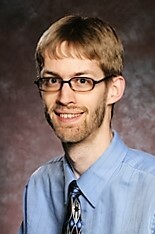 Steven McMullen is an assistant professor of economics at Hope College in Holland, MI. He does research on education policy, ethics in economics, and theology. He received his Ph.D. in Economics from the University of North Carolina at Chapel Hill in 2008, and then worked for six years at Calvin College.